We're confident games are art. That's not enough. o, Roger Ebert says video games can't be art. That's an argument that, in my opinion and the opinion of basically everyone else, is wrong. He's wrong and we all know he's wrong; but where do we go from here? If we're so confident that video games are art, what do we do now? Not that movies are any better, but there are a lot of awful video games on the shelves. Out of the hundreds of titles that are released every year, maybe a dozen are worth playing. The same is true for movies, so why is Hollywood given such a special place and why are video games still treated as a niche or novelty? The distinction between movies and video games is shrinking every day. Modern video games have budgets on par with feature films and development times that are usually far longer, which indicates that there's just as much opportunity for a good game to be made as there is a film. Video games have been using some of the film industry's top voice acting talent for years, and are now starting to enlist top actors, like Brutal Legend did with Jack Black and Tim Curry or Fallout 3 did with Liam Neeson and Malcolm McDowell. Video games are now starting to enlist top actors, like Brutal Legend did with Jack Black.Soundtracks for video games are composed by recognized musicians and can be found on shelves next to movie soundtracks; even the 8-bit chiptunes of the Mario and Zelda franchises have been played by full orchestras by Video Games Live, which is an offshoot of the Los Angeles Philharmonic. If video games have so much in common with movies, what is it that disqualifies them from the realm of artistic expression? 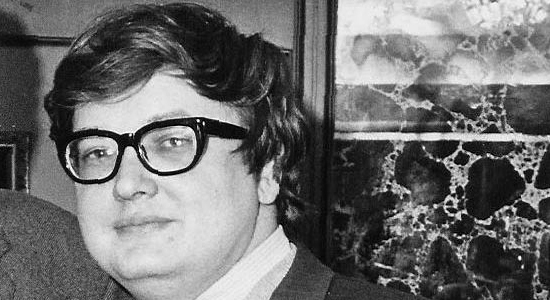 According to Roger Ebert, it's the interactive nature of games themselves. Ebert notes that games like chess, poker, mahjong, baseball, or soccer are not art, because they are almost exclusively focused upon the rules and playing of the game. Tentatively, I'm inclined to agree with him. Where we disagree is in lumping video games in with these previous examples. Video games may have started out merely as electronic implementations of simple rule systems; Pong or Pac-Man being prime examples; but anyone who argues that video games are still at that stage is simply naive. Even as early as the NES, with Final Fantasy and The Legend of Zelda, video games have been about telling stories. One can hardly look at a game like Metal Gear Solid and say that it's simply about a high score, and games like Fallout 3 or Heavy Rain are almost exclusively about their respective narratives. You will rarely hear talk of high scores or "winning" games focused on story and character-driven narratives.In the last few years we've seen a ton of games come out that are either exclusively or equally focused on story and character-driven narratives: Grand Theft Auto 4, the Assassin's Creed series, Batman: Arkham Asylum, Halo 3 and ODST, Dragon Age: Origins, Dead Space, the Mass Effect series, the BioShock series, Prince of Persia, Fable — the list goes on and on, and these are just the big budget blockbusters. Each one of these games has what I consider to be a compelling storyline, interesting characters, and aesthetically pleasing settings. In discussions about these games, you will rarely hear talk of high scores or "winning," and that's because it simply isn't the point. So what is the point of these games? Often times it's exploration; delving into and discovering the details and secrets of the game world or the characters. Other times it's story, like in the Final Fantasy games. In either case, the level to which these things can be explored is magnitudes deeper than any movie. Video games afford creative minds the opportunity to shape complete worlds, without being limited by the size of a page or the length of a movie. A feature length movie has to have a limit to the number of main characters; a game like World of Warcraft has dozens. Neither paintings, poems, novels, nor films offer the level of expression that video games do, nor the level of immersion. And why isn't Hollywood embracing this kind of immersion? Take horror movies, for example. Video games could do more for the horror genre than any actor, writer, or director. The only thing scarier than watching a scary movie is being there yourself, and video games are a significant step towards that kind of reality. Ask anyone who's played a game like Dead Space, Doom 3, or Resident Evil V in the dark with surround sound on and they'll tell you; horror games are an experience unto themselves, and they can be truly terrifying. If Pandora is a beautiful, interesting, captivating setting for a story, how would making it the setting for a game sully that?They're scarier than any movie, because taking control of the protagonist of the game creates a kind of empathy and shared experience that movies simply cannot reproduce. Avatar is another prime example of what potential video games hold for taking ideas to new heights. Many people in the gaming community saw Avatar and thought, "What an amazing video game that would be." Every time Jake took a left while flying through the floating gardens of Pandora, I wanted to take a right and explore the planet for myself. I wanted to see the skies, the deserts, the oceans, and the rainforests, and experience more than the small glimpses that the movie offered me. If we're granting that Pandora is a beautiful, interesting, captivating setting for a story, and thus holds some kind of artistic merit, how would making it the setting for a game sully that? Isn't a measure of a great work of science or fantasy fiction that the world being created by the author is so deep and captivating that readers want to experience even more of it? Furthermore, shouldn't it be every author or filmmaker's dream to be able to shape such a setting, and allow his or her audience to experience their vision completely, down to the very last detail? I have to hope that, if presented with the technology, talent, and opportunity to make Middle Earth a reality the way it has been made with Lord of the Rings: Online, a creative mind like Tolkien would jump at the opportunity, and give birth to a fantasy world with a hitherto unseen level of depth and expression. Honestly, the discussion of whether video games can or can't be art isn't much of a discussion at all. They can be. It's been the point of this article not to argue that they can be art, but to enumerate the reasons why video games can be achievements in art. There is potential in the world of video gaming to tell stories, explore characters, and unveil settings in a way that no other medium yet discovered or invented can. Instead of attempting to recreate the games of the past, or imitate the fruits of other mediums, we should be focusing on the unique opportunities presented to us by video games, and taking this new type of artistic expression to awesome heights. I have no doubt that we will. When a friend of mine asked me my take on Roger Ebert and the whole situation, I told him it's trivial and there is no use arguing about something that cannot be proven with concrete facts. I would say video games in general are not art, but there is a lot of art involved in the development of video games that CAN go into the games but don't necessarily HAVE to. You can't go up to the animators, character designers, texture artists, etc of a top development company who have 4 or 6 year degrees in graphic arts or what have you and tell them they are not artists.